Last week, Famitsu published the first entry in its series of interviews with Nintendo about the NES Classic Edition / Famicom Mini (and SNES Classic Edition / Super Famicom Mini). The second section was put online a few days ago. Just like the previous entry, some interesting tidbits were shared. Similar to what was said in the last interview, Nintendo again noted that very few staff believed that NES Classic Edition / Famicom Mini would be a hit initially. Since Switch wasn’t too far down the road, most staff at the company weren’t really paying attention to the classic hardware. However, Yamato – a former developer and now a manager of the sales department – said that it would make fans happy. He also strongly suggested to make a TV commercial. But since the product itself was met with stock shortages, they could barely air ads. The interview also talks about how the original plan was only to show the title screen of the various games on the menu UI since dealing with copyrights would be difficult. But when they put up those on the menu, everything was basically in black, since it was common for title screens at the time to be on a black background. The UI was shown internally at Nintendo, and some asked, “Why can’t you use cover art instead?” It was really tough for Nintendo’s Kazuyoshi Nishi at the business department to convince third-parties to work with Nintendo on this in such a short period of time. However, everyone finally gave their permission to feature the original boxarts in the end. 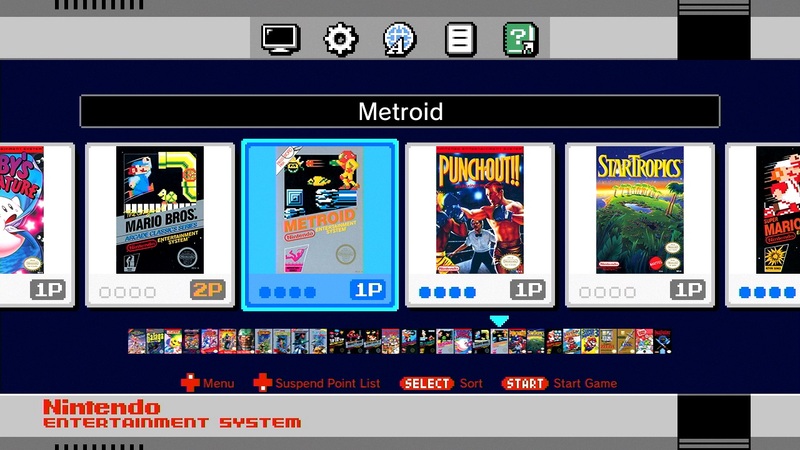 On another note about the UI, the game icons are square-shaped so that both American and Japanese boxart can fit. In Japan, some packages are sideways. As one final tidbit, when the NES Classic Edition was heading towards the end of development (when they were done with the games, the OS, and system itself) Takao Shimizu from Nintendo’s planning and development department strongly suggested that there would be stock shortages. However, Nintendo had already decided how much they were going to produce by that time. The same interview also touched on why EarthBound isn’t included on the Super Famicom Mini. You can read about that here.